While many celebrities will be waltzing gracefully down the red carpet in designer frocks tonight, I am going for a more relaxed, casual and decidedly less polished look today. While I love shopping for clothes, finding jeans I like is always a bit of a chore. In college I was a Seven and Diesel fan. When I started working I actually found I wasn't wearing jeans that much so I gravitated towards cheap options like Old Navy. In the last year or so, the J. Crew Reid jeans have become one of my favorites. I have two pair and the one I'm wearing today is apparently extra special; it's the Reid Cone denim jean in Macaye wash and apparently it's made of White Oak denim from Cone. I have no idea what Cone even is! Is Cone a person, manufacture or place? And are my jeans made from a tree and if so why? Even if this pair is made from some sort of fancy denim, as I predicted my husband "ripped" them apart. I knew he would hate the holes and patches. "Are those new?" he inquired when I came home. When I confirmed that indeed they were, he responded, "Usually I throw away my jeans once they get tears and holes in them." Since I got these on clearance for about $35, however, I think I can live with the tears and holes! I love those jeans. 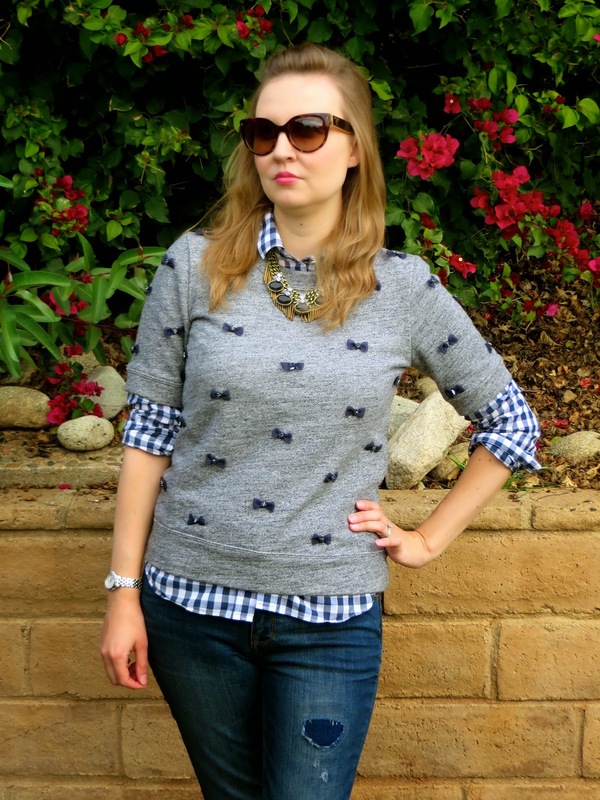 And the combination of the bow sweater with the gingham on top is brilliant! hello,ciao...nice photos full of colours and Your style is so charming! 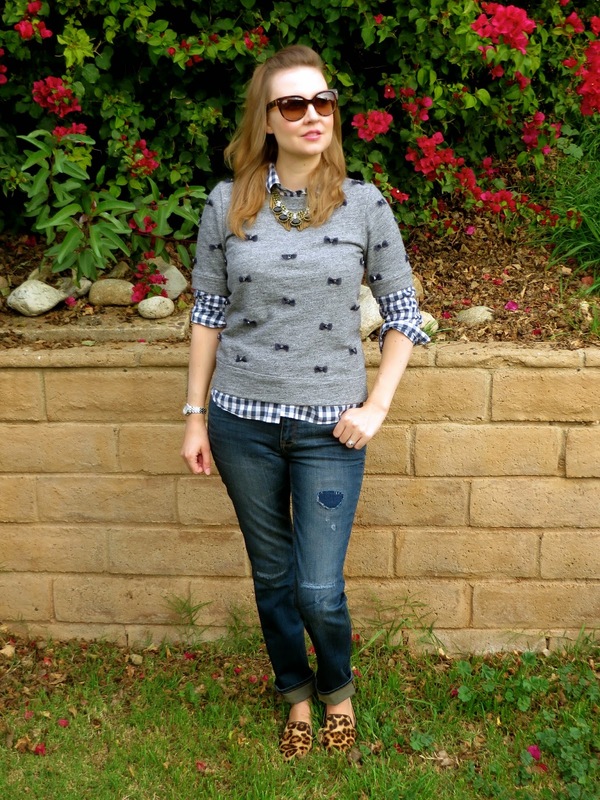 Those distressed jeans are fabulous! 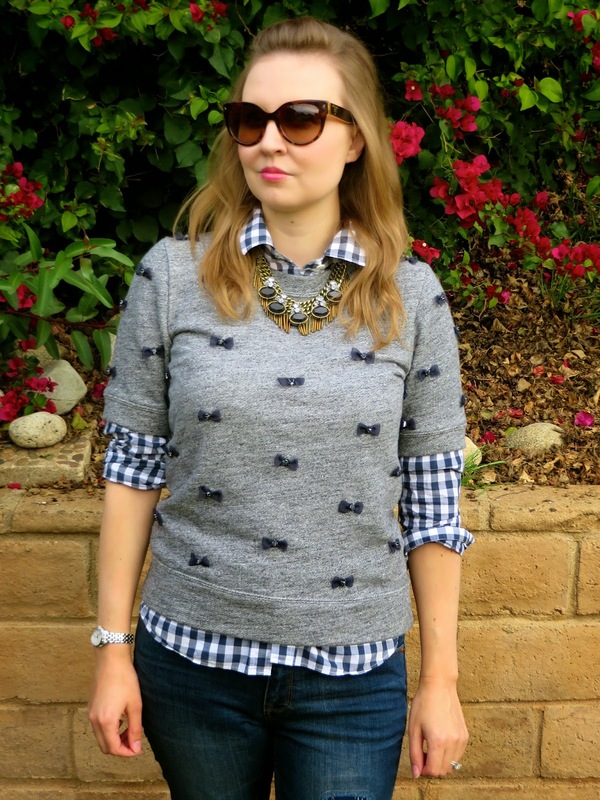 I love the bows on your sweater and the gingham peeking out! Guys sometimes just don't get fashion! That sweater is so cute and I really like it paired with the gingham. Love your gingham shirt, that is going to be one of the big trends this spring. 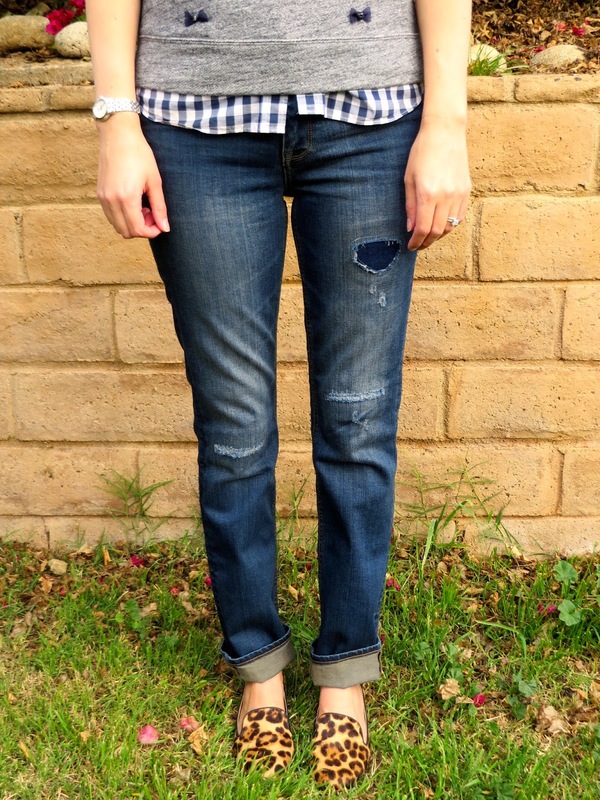 And, I am a big fan of distressed jeans -you look great! 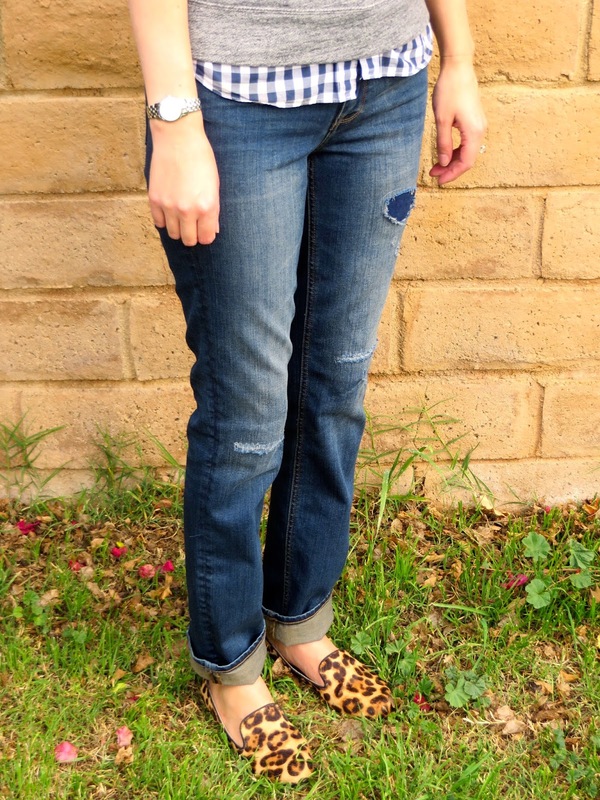 And, loving your leopard flats!